Ella Brennan, center, during a dinner and cocktail party at her home in New Orleans. At 91, she is the matriarch of an extended family of restaurateurs that employs nearly 1,400 people, both full and part time, and she has mentored countless talents, including the celebrity chefs Paul Prudhomme and Emeril Lagasse. 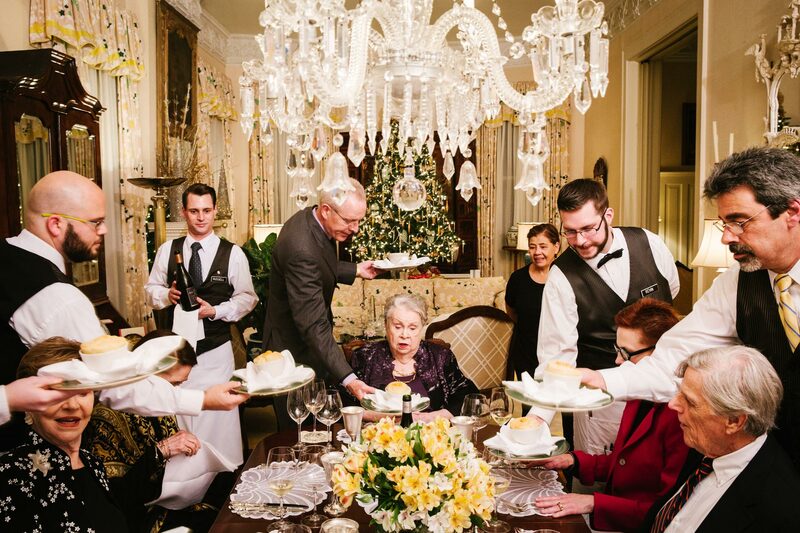 Food and drink were delivered from Commander’s Palace, her family’s iconic restaurant next door to her mansion in this city’s historic Garden District.